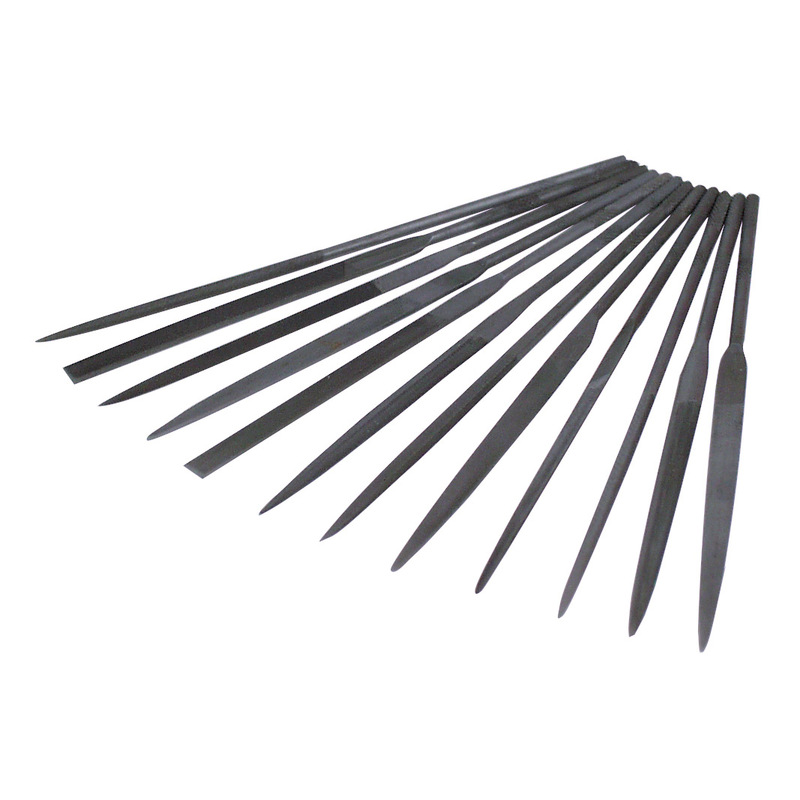 Needle files are a must-have tool for all modeling projects. Use for removing, smoothing and shaping steel, brass, aluminum, cast metal, plastic and wood. Can also be used for shaping small turnings while still in the lathe. All files are approximately 5-1/2 inches long with 1/8 inch dia. handles. Sets of 12 with a vinyl storage wallet. Medium cut. I'm glad I bought these I have been using sand paper on my models which is A. A very Bad Idea in the first place don't do that. And B just get these use them on old models get some practice before you take to a high priced model.